If you’re looking for a little fluff piece on Belmont Day, you’ve come to the right place. 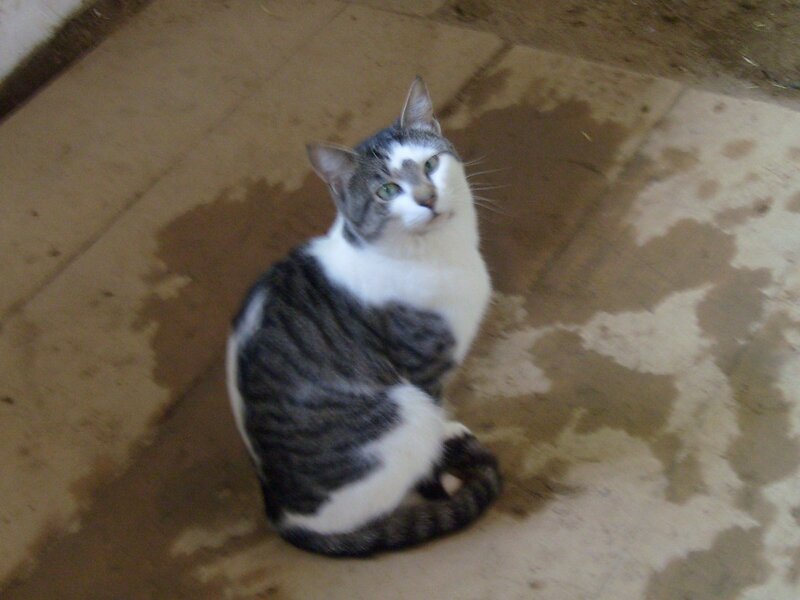 At 8:30 am, outside Barn 18, home of Mine That Bird, the self-appointed Official Cat of the Belmont Stakes holds court. The small assemblage of press pays more attention to the cat than to Chip Woolley. The cat is, according to Steve Haskin, a veteran of Belmont Stakes days; Haskin recalls seeing him at Hard Spun’s barn two years ago. 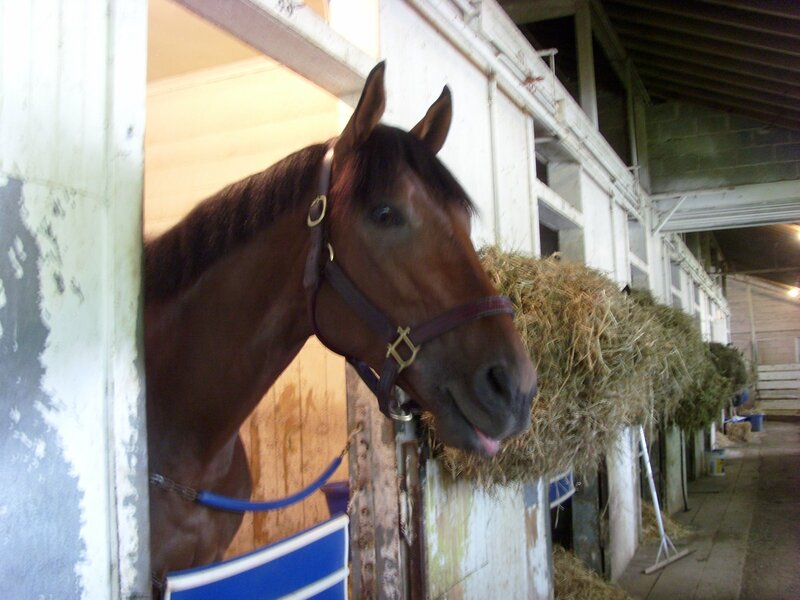 On we forge to the Pletcher barn, where we are greeted by a very friendly but elusive tabby. He’s social and charming, but resists having his picture taken. “You can have him,” we are told. 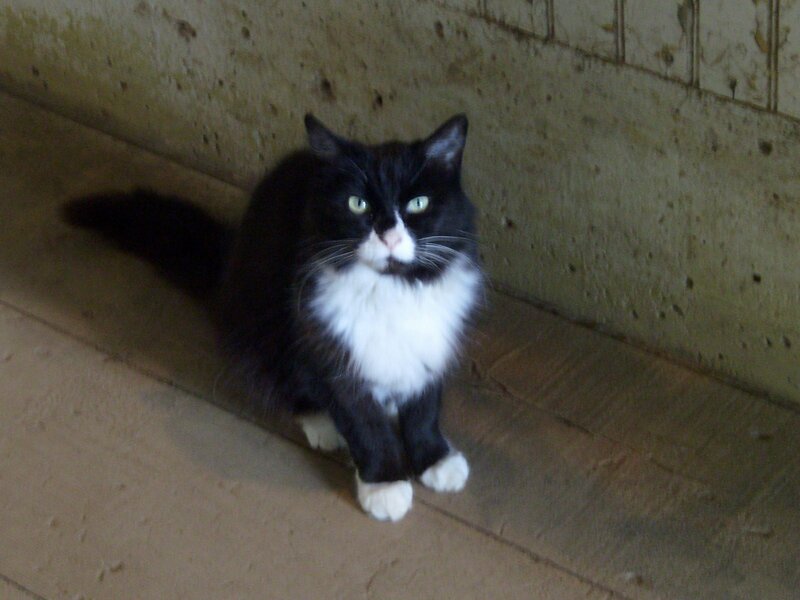 The cat at the McLaughlin barn has little time for stakes runners, visitors, and media types; there are birds flying in the rafters, and no way is he going to miss an opportunity. More hard-hitting reporting to come, live from Belmont Park. And if you happen to be near a program, do check out p. 75. This was my favorite posts of the year from one of my favorite writers. 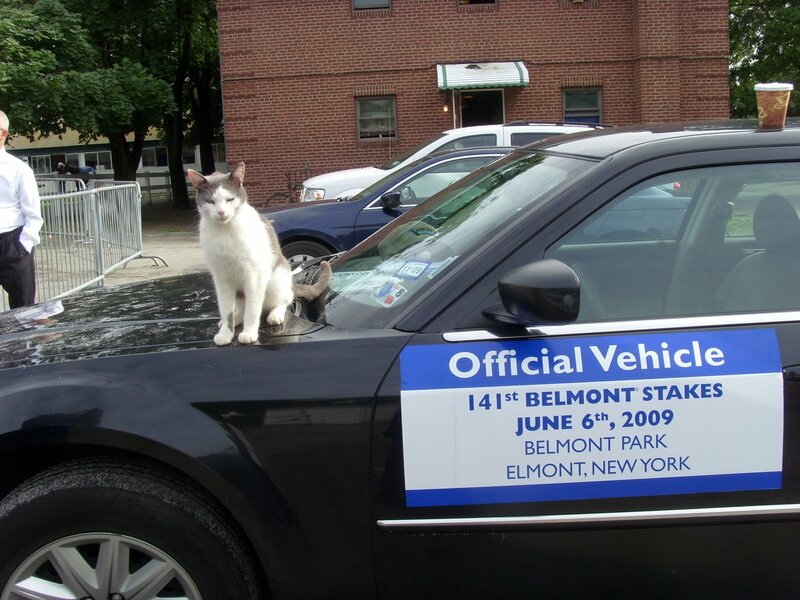 Great Work at BelmontStakes.com and I hope you have a great day today! Thanks, folks! 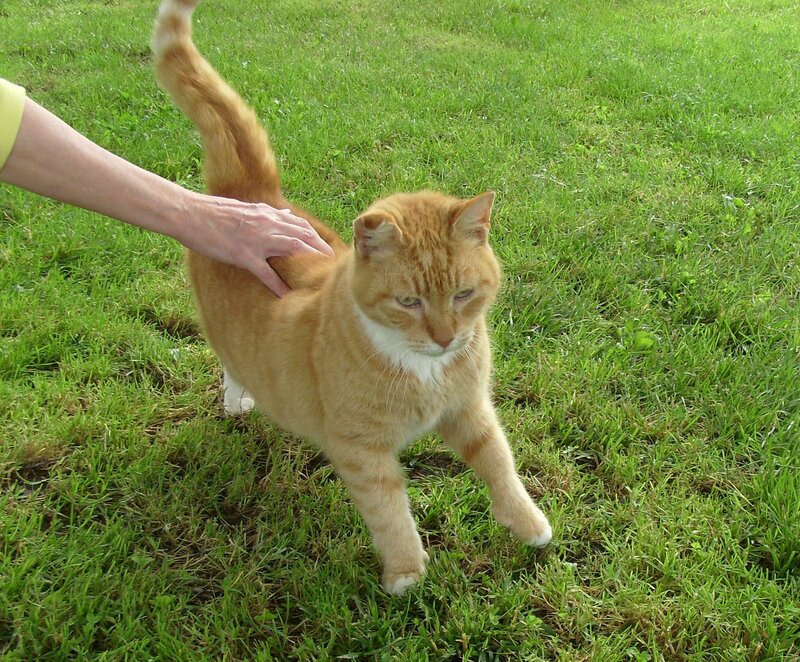 This one felt a little silly, but it was irresistible, once I met the Official Cat.